Other candidates for prime minister are mentioned. Volodymyr Hroysman has told President Petro Poroshenko that he will resign as parliament speaker unless an agreement is reached on the composition of a new government, a member of the president's Petro Poroshenko Bloc has told LB.ua on condition of anonymity. 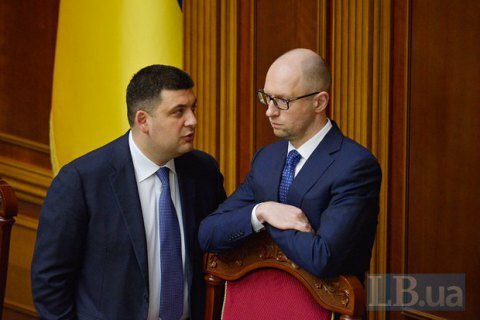 Hroysman's resignation would complicate the situation in parliament because the parliament leadership, including the chairman, must be elected by secret ballot, and it would be very difficult to secure a sufficient number of votes for any candidate, the source added. He said that Stepan Kubiv and Yuriy Lutsenko are also considered among the candidates for prime minister.